Get your family outdoors with this hiking challenge to bag 3 summits in your area. Unfortunately, the National 3 Peaks Challenge is out of reach of most of us, let alone doing it with the family. It’s not just the effort of the 3 mountains to climb, but it’s also the logistics of driving up, down, and across the country within 24 hours. However, there is a similar challenge that is within reach of most of us: doing a Local 3 Peaks Challenge. Just like the official Three Peaks Challenge, you have 24 hours to climb three peaks. However, as the name implies, these are 3 peaks that are local to you. Depending on where you live, this may be more or less of a challenge. Some parts of the country are quite flat, so you might not be climbing high, but at the same time, the route to the peak could be long. Nevertheless, it’s a good challenge to get the family out hiking. We’ve got a number of suggested local 3 Peaks Summits across the country listed below. And remember, when it’s done, you can come back here to log your miles and completion of the challenge. 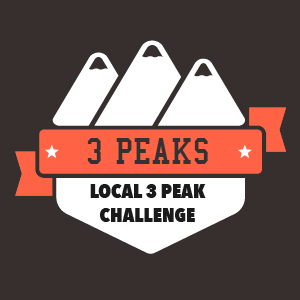 Find a set of local three peaks near to you. Click the button underneath each photo to view the summit on a map. Plan your route to each summit, making sure it is a summit that is suitable for your family. Track how many miles you walk in doing this challenge. Get as close to each summit as is safe and legal to do so, then take a group selfie.  Come back to this website and record your 3 Peaks Hiking Challenge result, uploading your three photos and recording your mileage. You’ll be added to the hall of fame for that challenge and awarded more Active Family Points, and your mileage might have earned your family a new hiking badge. Ready for your family challenge? Click on a link below to view the highest suggested 3 peaks in your area. The summits on this page are suggestions for your own organised activity and not part of the official Three Peaks Challenges. Some challenges are easier than others. Some challenges have serious peaks, such as the Munros, and should only be undertaken with the appropriate skills and experience. Remember to only take on the challenges appropriate for your family. The button to view the map for each peak can help you with that planning. If these challenges have inspired you to take on the official Three Peaks Challenge be sure to visit the official website, where you can also join in on an organised Yorkshire Three Peaks Challenge or the Welsh Three Peaks Challenge. Getting all these hiking challenges together has taken a LOT of work. However, it would not have been possible without the great work that’s already been done by people who go out and survey all the summits across the countries. We would like to give special thanks to the team behind The Database of British and Irish Hills, who provided most of the information in order to create these sets of challenges, and make it available under the Creative Commins 3.0 License. We would also like to thank Geograph.org.uk for their project to capture a photo of every square kilometre of Britain and Ireland, and making those photos also available under a Creative Commons license.